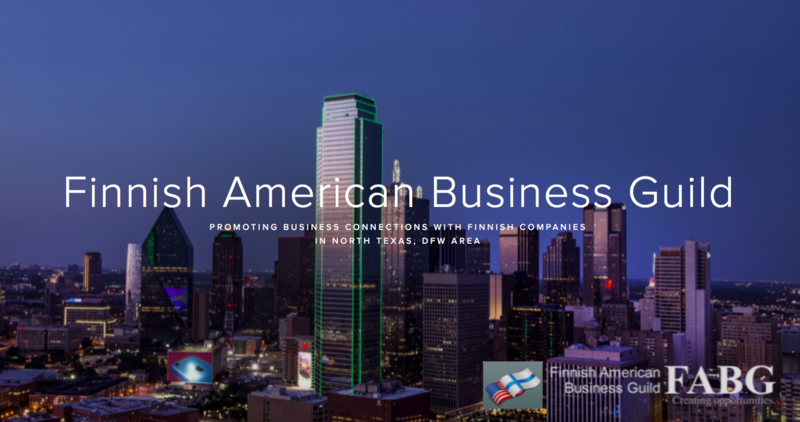 Read about recent developments and the coming events of the Finnish American Business Guild in North Texas. FABG belongs to FINNCHAM partner network of 35 accredited chambers of commerce around the world. This year our board has continued with centennial 'Suomi-spirit' and offered several new events more relevant to our members and the local business community. Although this years celebrations might not reach the same heights as last year our board is committed in bringing together all interested people to join our activities. Our board is also determined to provide valuable services to support Finnish businesses looking to grow their business into north Texas. commerce around the world. This makes us also a member of Team Finland business network whose mission is to support global growth of Finnish companies. 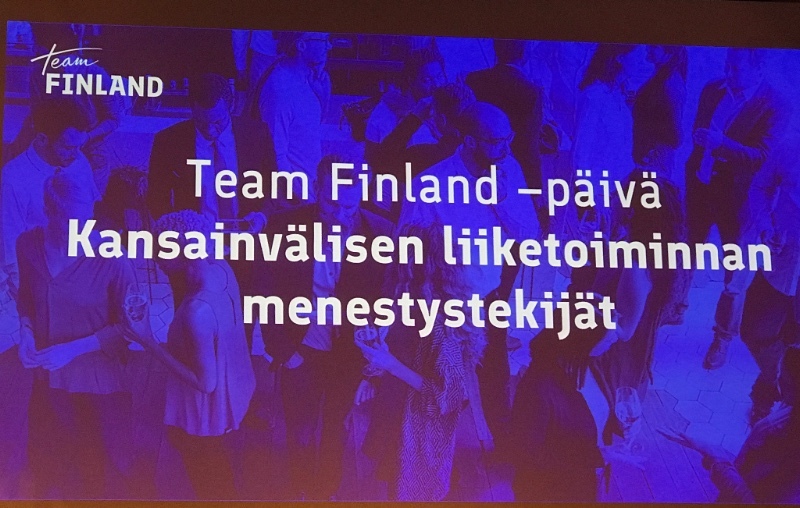 On August 30th I had a pleasure to attend Team Finland Day in Finlandia House in Helsinki. Minister of Foreign Affairs Mika Lintilä conveyed the objective set by the government to double the value of the exports from small and mid-cap companies in Finland by 2025. 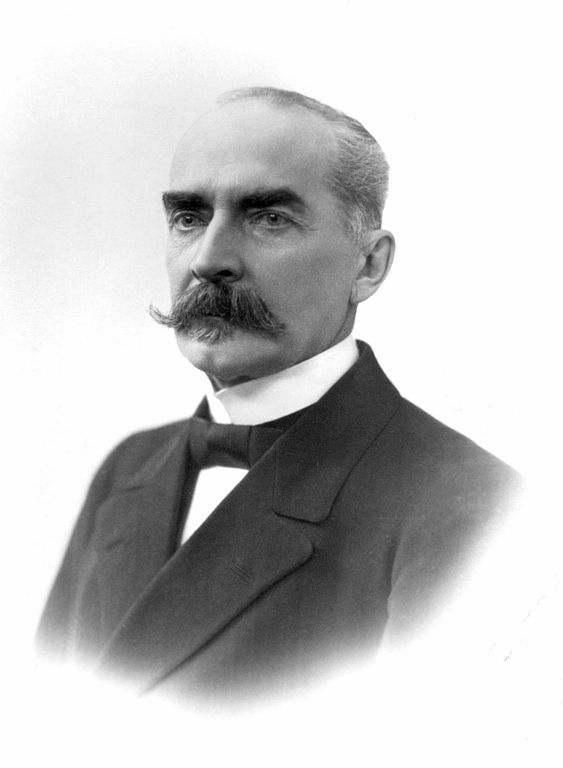 This goal was passed also to Team Finland. While our Business Guild wants to serve and support businesses already operating in the area by bringing business minded people together for exchange of knowledge and services our focus is also in attracting new Finnish businesses to this vivid and growing metroplex with big potential in several business sectors. While networking events continue to be key part of what we do our aim is also to provide market information, business leads and potential customer contacts as well as network of local expertise and services. I also hope you find our activities relevant and useful, and want personally invite you to contribute to our Guild's activities by offering your expertise to the benefit of the Finnish business community. We also offer an option for you to be listed on our TEXpert list we use to promote professional services to other companies. 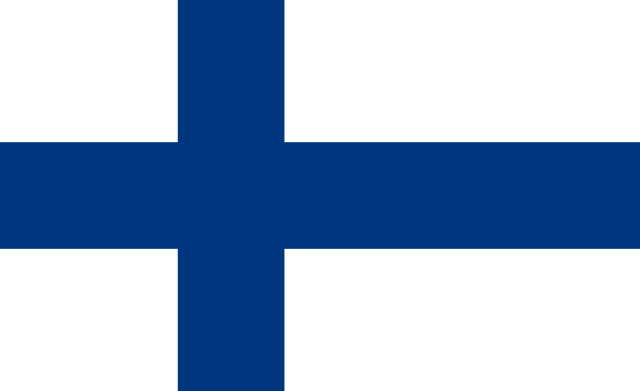 Last but not the least remember we always welcome new and active members to join us and be part of Team Finland. 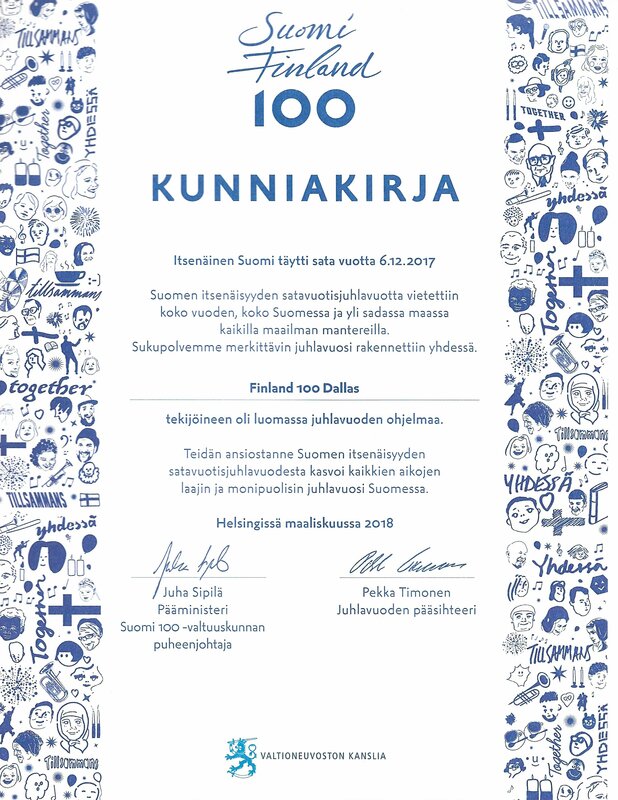 FABG wants to thank the whole Finnish community in Dallas who made Finland's centennial year an unforgettable for us all. 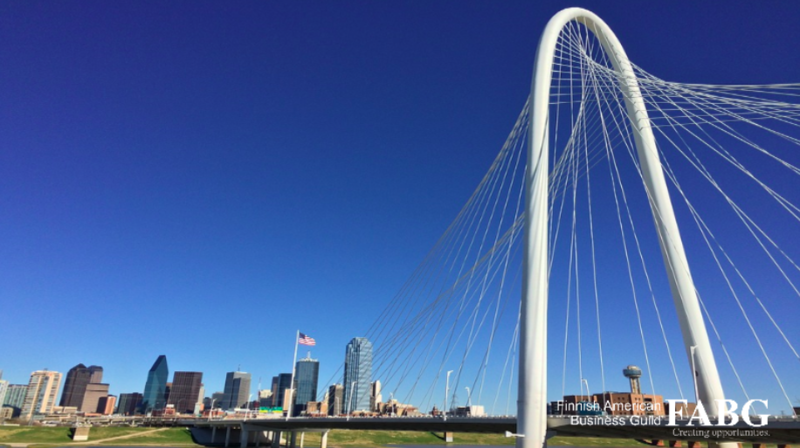 Dallas/Fort Worth is becoming a market that will be increasingly difficult to overlook. Traditionally Finnish companies looking to grow their business to US focus their efforts to either New York or California without true insight in what lies between Big Apple and Silicon Valley: Big and still growing Texas has multiple business opportunities also for Finnish companies. Based on its’ population of 7.4 million DFW is the fourth biggest metroplex in US after New York, Los Angeles and Chicago. Did you know that Dallas-Fort Worth-Arlington was the number one in terms of population growth of all metro areas in the nation with 146,000 new residents added during 2017. This is amazing growth rate of 432 persons each day for the whole year! This population growth is naturally a result of the healthy and growing economy in the metroplex which constantly demands for new workforce and leads to steady job growth. Dallas/Fort Worth added a record number of 85,500 jobs (only behind of New York and LA) during 2017. Growth in this magnitude typically leads to higher prices with inflation and higher cost of living and cost of doing business. Is this the case also here in DFW metroplex? Surprisingly this is not the case (at least not yet). Cost of living in Dallas for instance is only 2% points above the US average and cost of doing business 3% below the US average. Typical 4 bedroom/2 bath house that would cost over $1million in San Francisco would cost $275k in Dallas. Cost of living in New York is more than double of that in Dallas while cost of doing business in Big Apple is about 60% above the US average. No wonder that the economy here is growing with the record pace and migration from other metropolitan areas is in favor of DFW. What are the strengths of DFW metroplex? Key selling point is clearly a central location in the middle of the nation and easy access to all parts of the continental US with maximum of 3 hr flight from DFW airport (fourth busiest airport in the world, serving 233 destinations including 57 international cities) enabling face to face business meetings within US without overnight stays. Good location brings also logistical benefits already noticed and benefitted by many big companies looking to relocate their headquarters here like Toyota who is already operating in Plano and Amazon still evaluating the future locations for their second headquarter, but Dallas and Austin still as their top candidates. DFW has large industry diversity and is recognized as top 5 metro in U.S. for the following industries: food and beverage (1st), aerospace (2nd), transportation and logistics (2nd), IT and communication (3rd), life sciences (3rd), machinery and equipment (3rd), business and finance (4th), energy (4th), automotive (5th) and metals (5th). DFW is also the largest region in Texas for high tech and manufacturing jobs. DFW is also number one region in the country for new home construction and capital investment and job creation. 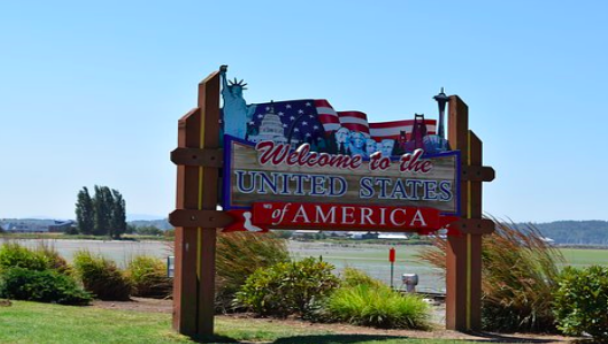 Texas is employer friendly ‘Right to work’ state where questions like the current Finnish headline topic of government’s proposal to ease employee dismissals in small firms would be taken a granted and would not even hit headlines. Texas has also competitive salaries and relative low worker compensation costs. Good deal is typically the one that gives you more value with less money. To summarize in Dallas/Fort Worth an entrepreneur gets the business benefits of top metropolitan regions in the nation with strong and stable economy, infrastructure with business friendly environment and world class work force - all this with the least amount of money. Are you interested in starting a business in Texas? Please read this business guide (in Finnish only) that tells you what to consider and why is it worth the effort. The author is Santeri Leskinen, a Finnish-American attorney and the founder of Leximia LLC Attorneys at Law. 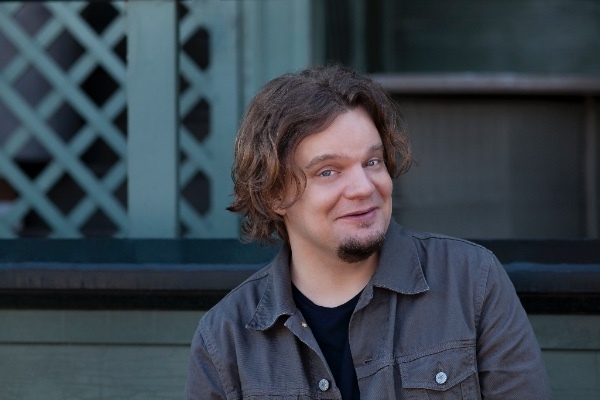 Santeri is also a member of FABG. TEXAS IS READY FOR YOUR BUSINESS! Are you interested in offering your business services through FABG? Register your business with our TEXpert professionals who are being promoted by the business guild. It is the premier ICT technology exhibition and conference event where you can meet industry-leading Korean manufacturers and experience the most innovative technology products in telecommunication, digital education and health. During the event, you can preview new Korean products prior to being featured at international ICT shows next year. Special seating tickets of $20 (+$5 fee) to the reserved seating for our group (also for friends) in the front area of the showroom. In order to receive special seating tickets, please go online (button below) to purchase the tickets, put in PROMO code: FABG and choose "GENERAL ADMISSION". Please hurry for the amount of tickets is limited! Please find more application details. NOTE: The deadline for applications is Nov 11th, 2018. 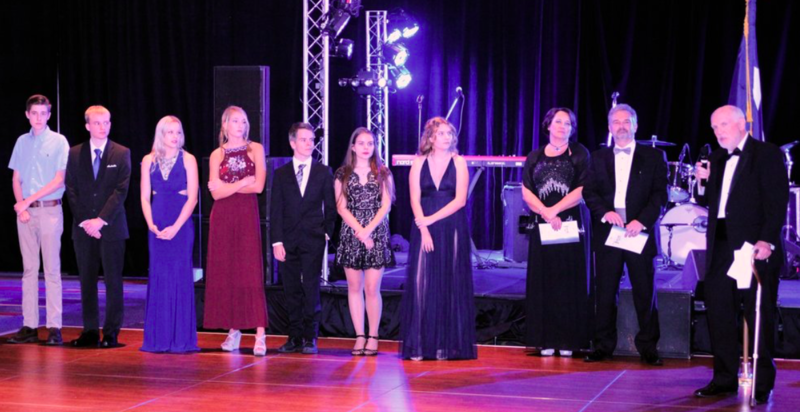 Honorary Consul Kenneth Niesman handing out the Mannerheim scholarships in Finland 100 Gala on Nov 11th, 2017. To keep your membership valid also during the coming year of 2019 remember to make your individual membership payment using this link. We also welcome additional corporate members to join and ask them to use this link. We continue to strive in bringing meaningful services to our members. FABG THANKS OUR CURRENT MEMBERS AND SPONSORS FOR THEIR SUPPORT!